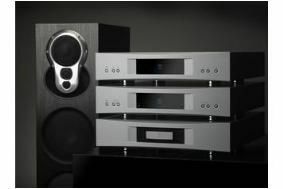 Linn says latest results prove ditching CD players was right | What Hi-Fi? The company made headlines this time last year when it announced it would no longer be making CD players, instead choosing to focus on its DS range of streaming products. The company says its results, with pre-tax profits of £1.6m as the highlight, show that the decision to focus on 'making high quality digital streaming a reality' was the right one. The Linn DS (digital streaming) players now make up 37% of the company's hi-fi sales. Alongside a 5 per cent increase in turnover, up to just over £17m, the record label, Linn Records, has continued to be profitable and also won the Record Label of the Year at the Gramophone Awards. Managing director Gilad Tiefenbrun said of the results: ““The market has understood the seismic shift that digital represents and recognised that Linn has been a prime mover in delivering the technology that takes them into a new era of home entertainment.